STARTING from a humble hardware shop with a zinc roof 51 years ago at Sungei Road, Chee Fatt Co Pte Ltd has grown into one of the leading distributors of precision tools, industrial hand tools and power tools in Singapore and South-east Asia. Today, the company has over 50 distribution rights with over 50,000 different products which are housed in its 70,000 square foot warehouse at Tanjong Penjuru, Pasir Panjang. These include the product lines of renowned and recognised brands such as Stanley, Proto, Facom, Dewalt and Milwaukee Powertools & Enerpac, among many others. The family-owned business is currently managed by the second-generation owner-managers who are committed to growing the organisation into one of Asia's largest independent industrial tools and equipment distributors. Between them, they possess a wealth of experience - some of them having worked in the company since they were in secondary school. Even today, they remain very much involved in the day-to-day operations of the company, to the extent of issuing quotations for customers. What differentiates Chee Fatt from its competitors? General manager Benjamin Foo explains that Chee Fatt's competitive edge lies in providing a total solution to a wide range of customer's order requirements faster than its competitors - on favourable business terms. Management has always emphasised responding to customers fast. "We are known as a general supplier capable of efficient supply in terms of response and prices, but we are constantly building our industry knowledge too," says sales director and third generation leader, Ivan Poh. By tapping its in-depth product knowledge, the company is able to provide the correct equipment for its customers' specifications and deliver them region-wide. The emphasis on customer relationships has driven the company's success throughout the years. 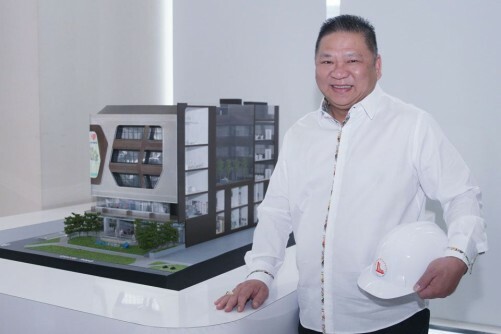 Third generation marketing director Desmond Poh recounts that it was the founder's drive in building lasting client relationships based on meeting and exceeding customers demands that have established its strong reputation. This customer-centric spirit persists at the heart of Chee Fatt till today. "We not only sell them what they want, we sell them what we think they need. If we want to close a sale, we will sell them what they want, but sometimes we advise them," Mr Foo adds. Perhaps, the best testament to the company's regard for the well-being of its clients was when one of the owners drove his personal car on a weekend just to deliver a S$20 product. Over the years, Chee Fatt has nurtured a team of some 30 dedicated staff who believe in meeting customers' needs and satisfaction, as well as achieving organisational goal maximisation. It is no wonder that the company regards its greatest asset to be its people. Ivan credits the company's growth on its decision to focus on the oil and gas industry. 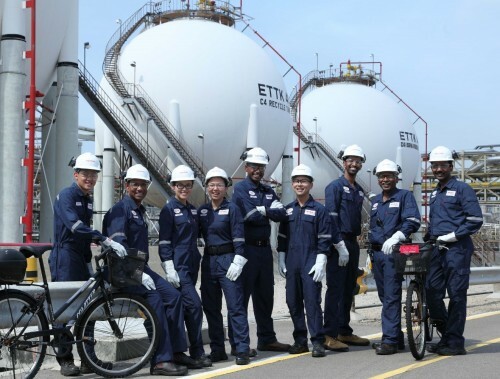 By leveraging on Singapore's rise to being the undisputed oil hub of Asia, Chee Fatt was able to expand its customer base, particularly in the oil and gas sector. Today, Chee Fatt primarily serves the aerospace, oil and gas, and marine industry, counting esteemed companies such as Exxonmobil and Rolls Royce as some of its key customers. Despite the company's success thus far, the management is not resting on its laurels; the company aims to double its current revenue within the next four years. 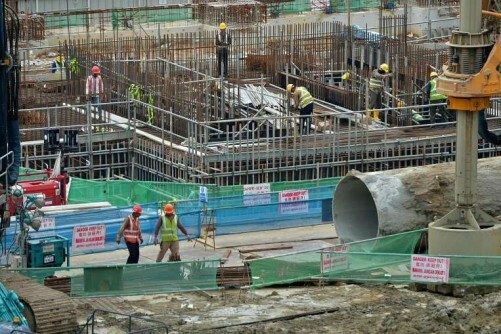 Being still nascent in internationalisation with limited overseas marketing experience, Chee Fatt will be adopting a broad-based approach in its regional development strategy. The core of its strategy lies in optimising its "Go-to-Market" sales and marketing approach, as well as its marketing competency in branded agency lines. Last but not least, diversifying its revenue base across new industries and geographical regions is also another strategy under contemplation. In preparation for these growth initiatives, the company will be investing in key growth enablers such as the adoption of new technology and processes, and most critically, attracting new talent into the company. The management is also mindful of issues such as knowledge transfer, staff retention and staff training which weighed heavily on its mind. "The amount of knowledge and experience between the second generation owners is immense; we need to transfer that to the third generation owners." says Mr Foo. Always one step ahead, management has already started enhancing the company's internal capabilities, with one notable example being the adoption of a new SAP system which will enable the company to better track its sales and inventory execution. 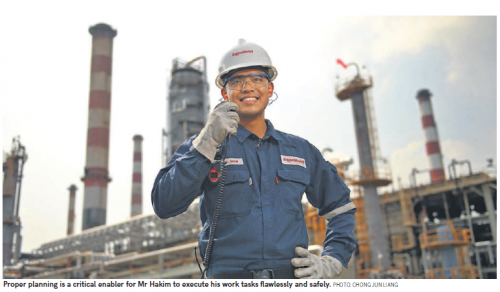 Helmed by a team with a balanced vision and a fervent determination to grow, Chee Fatt has what it takes to reach greater heights and be the leading regional player in the industrial supply industry. The future is bright.